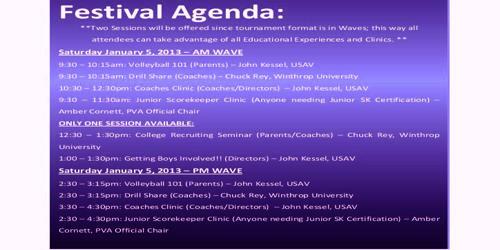 You must set schedules for the activities which can be expected in the program. Since you are preparing for an upcoming festival, you are advised to make notes on any ideas suggested by your members and also develop creative activities which can be enjoyed by people. If you intend to make your festival event successful, you also need to have some dedicated members who can help you achieve your objective. 2. Minutes for approval from the previous meeting. 3. Comments on matters not mentioned on the agenda — public participation with three minutes allowed for every speaker. 4 Old business — presented by the chairman. 5. New business — presented by the chairman. 6. Treasurers report — presented by [name of the individual]. A) The theme of the event. 8. Sound and park and Food booths. A) Down payment for Pyro spectacular. The facilities of the festival are accessible to people with disabilities. People who need assistance to participate in the meeting contact the city clerk’s office on the telephone number [telephone number] at least 72 hours prior to the festivities to ensure reasonable arguments are made for the participation. The meeting will be held at the [location of the meeting] at [time]. The agenda of the meeting is as follows. II. Review of the agenda. III. Approval of the minutes. A) community events of the festival and discussion of parade fund as well as funds available. B) donations from businesses or developers. C) summer fest with a band, liability insurance update, food vendor update, silent auction update, volunteers, and scheduling. D) advertising for the summer fest update.